Last week at Britmums I had the absolute pleasure of first listening to and then meeting the wonderful Camilla Batmanghelidj from Kids Company. For a long time I've admired the work she does - providing practical, emotional and educational support to vulnerable inner-city children - children that everyone else has either forgotten about or written off. Today the first ever appeal to raise money to feed starving BRITISH kids is launched - as devastating new figures from Kids Company and Netmums reveal a million children are going hungry on British streets. 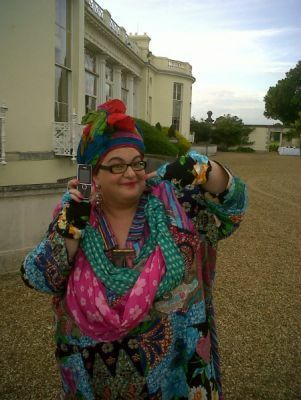 Camila, Kids Company founder says, “We are seeing a lot more children struggling to get hold of food. We have kids who were so starving they stole frozen meat from a flat they visited and they ate it raw. We’re seeing effectively responsible parents who are just not managing to have food in the house." "I would wake up starving in the night but there would be no more food. When I went to people's houses their parents would make as much food as possible for me and more for me to take home. At my best friend's house I would fill up on dog biscuits in-between meals. I would wait at my garden fence and ask passers-by for sweets or food. I would even chip bits of brick off the wall and eat those." So how can you and I help? It's as simple as digging out an old mobile phone. Orange and T-Mobile are accepting any of your old handsets at 720 stores around UK or you can send it by FREEPOST to their national recycling centre. Recycling a single mobile phone can provide a child with nutritious meals for a month. All the information you need is on Netmums Mobiles for Meals page so please do pop over. If you do not have an old mobile phone then write a post about Mobile for Meals, or share a link, RT a tweet - whatever you can to help spread the message and make this campaign count.